Bandeirantes Highway (SP-348) - Turns the Cordeirópolis São Paulo, metropolitan region of Campinas. Anhanguera Highway (SP-330) - Connects São Paulo to the State and the Midwest region of the country. Highway Dom Pedro I (SP-65) - Turns the Jacarei and Campinas Paraíba Valley in São Paulo. The Traffic Lira operates bus lines connecting the Guarulhos Intenacional Airport and Congonhas Airport in Sao Paulo at the Multimodal Terminal Passenger Ramos de Azevedo. 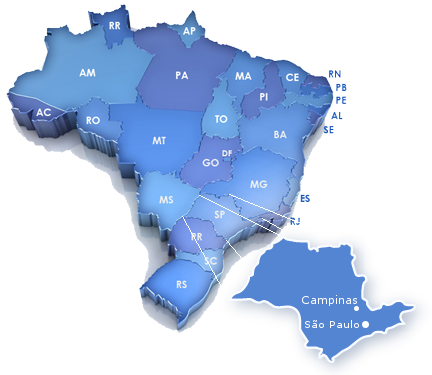 The company also operates a line between the Viracopos Airport (Campinas) and the new road of Campinas. 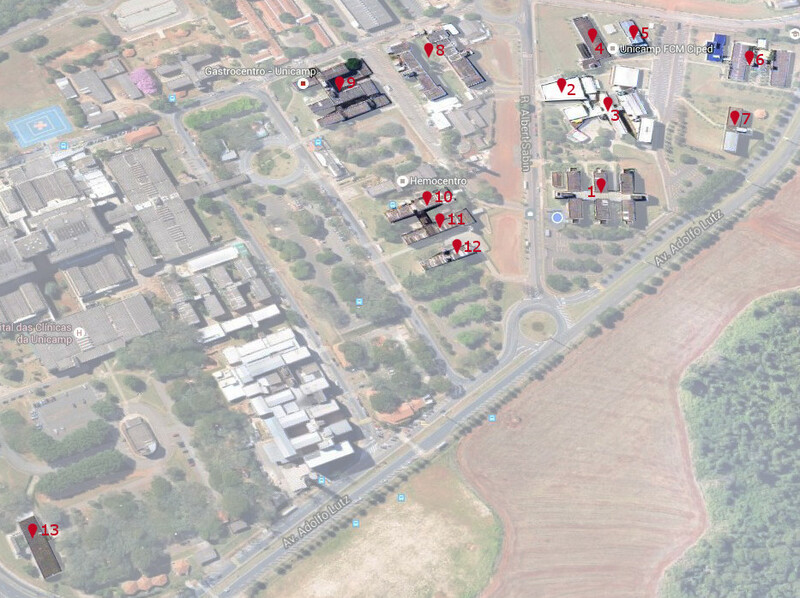 Road Campinas Unicamp. It opens from 6 am to 23 pm, every half hour, every day. Central Terminal of Campinas Unicamp. Open from 6 am to 9.30am and from 15:30 to 17h, every 15 minutes from Monday to Friday. Road of Campinas to Terminal Barão Geraldo. To get to Unicamp, use the line 3:37 at Terminal Barão Geraldo. It is not necessary to pay more a ticket. Works from 5:30 am to 23:30, every 20 minutes, every day. Terminal Central Terminal at Campinas Barão Geraldo. To get to Unicamp, should get the line 3:37 at Terminal Barão Geraldo. It is not necessary to pay more a ticket. Works from 5:30 am to 23:30, every 10 minutes, every day. Terminal Barão Geraldo at Unicamp. Works from 5:30 am to 23:30 every 15 minutes from Monday to Friday. The campus is served by an internal bus line (free) circulating through the main points of the University. The path is performed by two lines: "Circular 1" and "Circular 2". The student community also has a line connecting the campus Student Housing.